Construction season is officially underway in Central Alberta and we are seeing houses spring up left, right, and centre. Whether you’re building your house now or are thinking of building a little down the line, don’t let your garage be an afterthought. There is one burning question when you start scheming about your garage and that is: will your garage be attached to your house or would a detached garage make more sense? You might not know but there is actually more to deciding what type of garage you want than just what looks the best. Things that alter your decisions on your choice of garage include lot size, practical use, cost, and convenience. The size and shape of your lot can help you decide what type of garage to go for. A lot that is narrow, long, and stretches out to an alley is the perfect size and shape for a detached garage. With a lot that is wide and short you may want to consider doing an attached garage in order to conserve yard space. We know that all lots come in different shapes and sizes. There may be some ideal shapes for a detached garage and a perfect size for an attached garage, but that doesn’t mean you should immediately decide on one or the other. Sometimes detached garages can take up more yard space, which might mean you need to sacrifice some of that dream vegetable garden. We don’t want you to lose out on something you want so when you know what you’re looking for ahead of time we can find the right lot size for you. That way you can have the big yard and the garage you’ve always dreamed of. Gone are the days when a garage was used to only store your vehicle. Now garages are used to store everything from the hockey equipment to the holiday decorations. It’s good to have an idea of what you plan to use your garage for before you commit to choosing one style of garage over the other. Once you decide what you’ll use it for you can decide on the size. Attached garages are typically smaller, as detached garages are often used as a shop or working station. If you’re after a bigger space, choose a detached garage. Some people have a preferred look for their garage, which all comes down to personal preference. Appearance is a big factor in deciding between different styles of garages. Discuss your garages appearance options with your home builder as they’ll be able to provide information on the best garage to give you your dream home. 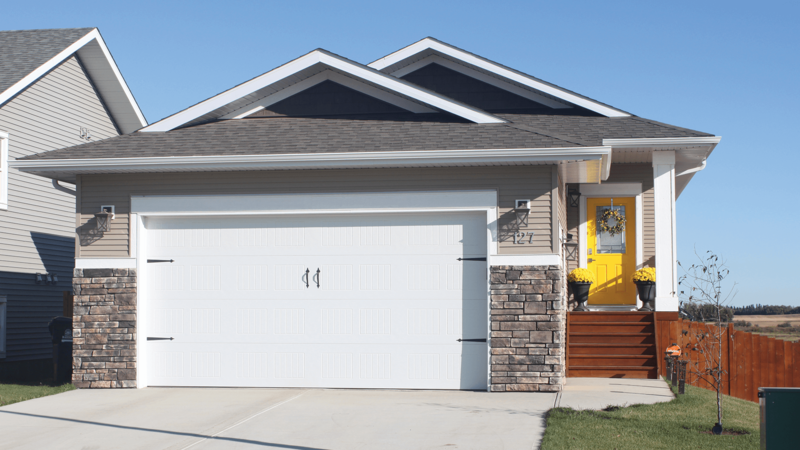 One of the main reasons we see people opting for the attached garage is because it is convenient, especially in our harsh Central Alberta winters. The ability to step out of your car and be right at your front door is a great selling point, especially when looking at resale value. When you’re building your first home, or even your dream home, money matters. Which is why when it comes to a garage we know it might not be at the top of the list. Regardless of where you place it on the, “must-have,” list make sure it’s not at the very bottom. A garage becomes expensive when it is an afterthought. The average price of an attached garage starts at around $25,000 and can range up to around $50,000. An attached garage has some slightly different requirements, such as proper weather stripping on the door leading into the house. 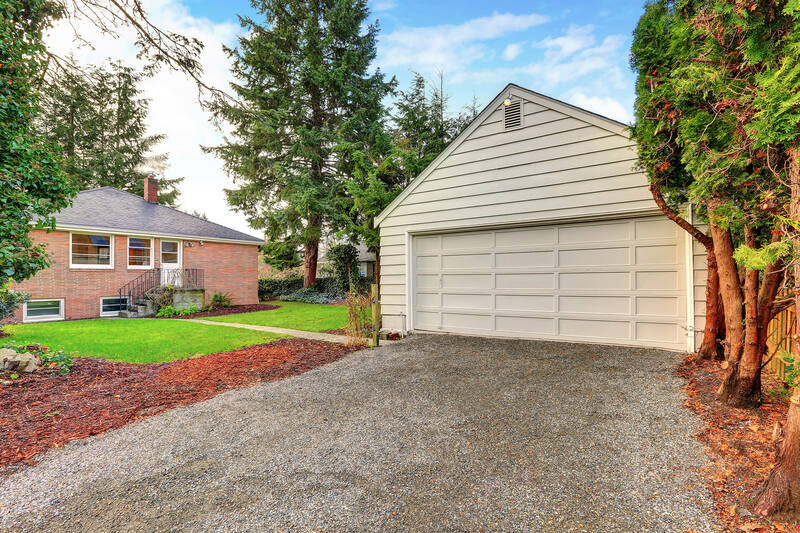 Comparatively a detached garage starts at around $20,000 and can range upward depending on size and finishings. It is a misconception that having a detached garage will be cheaper. The general rule of thumb is that the most expensive detached garage will be more expensive than the most expensive attached garage. So when it comes to pricing, the individual needs of your garage will alter the price more than whether it is attached or detached. When deciding on a garage the best thing to do is your research, but also be aware of your space and what will fit practically. If you’re looking to build or buy a new home don’t let your garage be an afterthought – otherwise you might end up with something that just doesn’t work the way you need it to.